As your information repository is being challenged to adapt to a changing paradigm in facilities, resources and services, Unlimited Priorities partners with you to help uncover and optimize your archived collections for retention, conversion or distribution. Our experienced experts can assist in such areas as identifying materials appropriate for conversion, investigating rights ownership, DTD creation and outsource vendor selection, determining a suitable distribution environment and licensing data for distribution. Google Book Settlement Rejected: What’s Next? Last week's rejection of the proposed settlement of the lawsuit between Google and a group of authors and publishers has thrown the future of the Google Book database into question. A federal court in New York declined to approve the settlement, recognizing that while there was a benefit to society from the widespread digitization of books, the proposal "simply went too far." The court indicated that the settlement was a "forward-looking business arrangement" that would give Google too much power to exploit books at the expense of authors' rights to control their copyrights. ProQuest is unlocking the rich, primary source material it acquired with University Publications of America (UPA) through a new digital archive called ProQuest History Vault. Its first three modules are being released this year and will provide researchers with an unfiltered view into the Black Freedom Struggle and U.S. foreign policy during the Vietnam War era. Modules are planned to complement course curricula, and these modules match two of the most widely studied topics in 20th-century history. Copyright Clearance Center, Inc. (CCC), a not-for-profit organization and provider of licensing solutions, announced the launch of Get It Now. The service complements academic institutions' interlibrary loan (ILL) borrowing services by providing immediate fulfillment of full-text articles from unsubscribed journals 24/7 through a single, cost-effective, and easy-to-use application, integrated directly into a user's workflow. LexisNexis announced the debut of a new semantic search "brain" for its full complement of intellectual property (IP) research products. 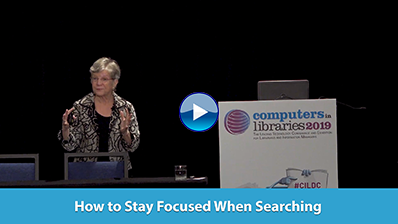 The next-generation semantic search technology identifies the meaning of multiple concepts within a single search query to help users zero in on core concepts faster and make fewer revisions to their search queries. The technology will power the patent research and retrieval service LexisNexis TotalPaten, the automated patent application and analysis product LexisNexis PatentOptimizer, and IP research across patent and nonpatent literature conducted on the flagship lexis.com online legal research service.